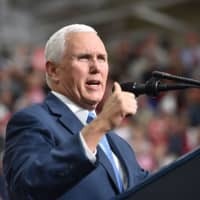 U.S. Vice President Mike Pence will stop by Japan early next week before attending regional summits in Singapore and Papua New Guinea, and will hold talks with Prime Minister Shinzo Abe, Chief Cabinet Secretary Yoshihide Suga said Thursday. Pence, who will arrive Monday, is scheduled to meet Abe on Tuesday and the two are expected to discuss various issues including how to deal with North Korea, the top government spokesman said in Tokyo. Japan seeks U.S. cooperation in settling the issue of past abductions of its nationals by the North in the 1970s and 1980s, which has been one of the Abe administration’s top priorities. 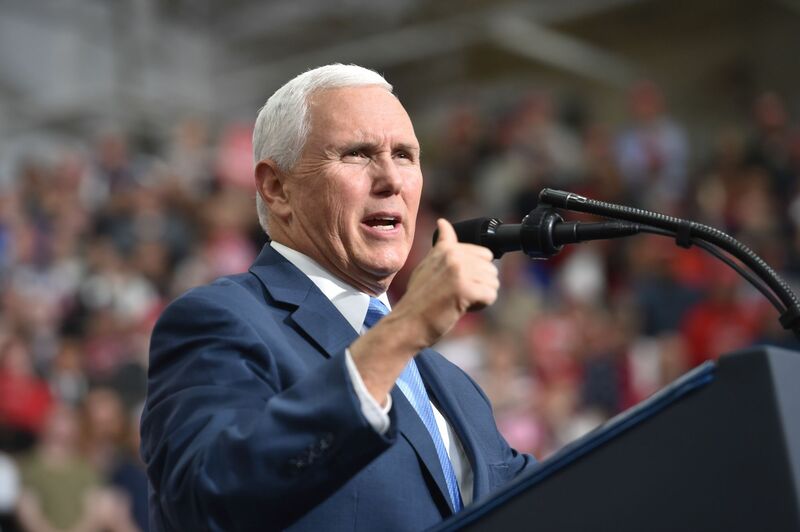 Pence will then head to annual meetings of the Association of Southeast Asian Nations in Singapore and a summit of the Asia-Pacific Economic Cooperation forum in Papua New Guinea. There is no plan for Deputy Prime Minister Taro Aso to hold a new round of talks with Pence on trade, investment and economic cooperation during his two-day stay, Suga added. Pence and Aso, who doubles as finance minister, held a previous round of talks in Washington in October last year.